Okay, not so much the essential oil bandwagon but definitely the MLM essential oil bandwagon. Aromatherapy may be making its way to the mainstream but that doesn’t mean it will be widely embraced by everyone. One reason for this is that there isn’t much research involving essential oils, as compared to pharmaceutical drugs. This is an issue that needs to be addressed in order to have Aromatherapy be respected by all people. Most aromatherapy users know the beneficial properties of essential oils but there is little to no evidence to support those claims. Lavender is known for its calming properties, Lemon can be used as an fever-reducer, and Rosemary has been recommended for hair loss and memory improvement. The benefits of essential oils are endless, but where is the research to back up these claims? Now, this could be an entire blog post about money distribution in research and how “Big Pharma” has all the money. Instead this blog is about getting more people involved in conducting research. Many people have testimonials about certain blends and treatments but no research to prove it. Verification of testimonials is one way to conduct research. 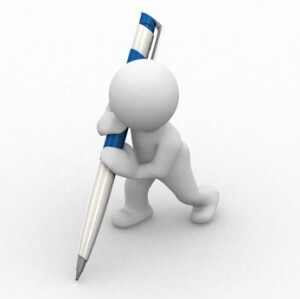 Investigating testimonials and a review of traditional literature you can transform the information into a case study. The number one topic discussed on facebook groups and Aromatherapy articles are the testimonials about essential oils and blends. These testimonials are great and they help improve the lives of many people, but at the end of the day that is all they are…testimonials with no research to back up the claim.. Turning testimonials to a case study does require a little bit of work but, the little bit of work will go a long way to adding to the pool of knowledge in Aromatherapy. Begin with a question you want to answer. Find a client who is seeking a therapeutic outcome relevant to your question and obtain their consent for treatment. Choose an oil you believe to be well-suited to your client’s needs and how much to use, the method of application, and how long you intend to use the oil in this manner. Before any treatment is given it is important to note why that specific treatment is being used and why it works. This is where the little bit of work comes in. Do some investigation into why the oil you selected should be able to treat the patient’s complaint. Be sure that the oil is safe for your client. It is important to write down every step of the process to be referenced. After some investigation to confirm your protocol, you may begin your treatment. This part simply requires documentation on the progress of the treatment. Documentation is half the battle when it comes to case studies. Once the treatment is over, the results must be analyzed, and the initial question will be answered. There are many questions to be answered regarding the use of essential oils. Aromatherapy needs more voices in research and this research can lead to more credibility. I encourage everyone to go out find a question that they want to find an answer to and do the research. Conducting the same procedure on multiple clients and combining the individual case studies creates a case series. From there you can take what you have learned and develop a pilot study. Create a question, then do the research to find out if anyone else has done the same research. Find out as much information as possible about the question, and then create a hypothesis. This is a proposed explanation of the question. An example would be, I believe ‘A’ will happen because of ‘B.’ This is a simple idea that explains what you think will happen during the experiment. After this the actual testing begins. This is where documenting the process is important. Writing down the all the steps and outcomes will allow for referencing. If the procedure isn’t working then redesign how the test is administered. Analyzing data is the final part and is the most exciting because it determines if the hypothesis is correct. Even if the results don’t prove the hypothesis you will have learned something by completing the process and you now have information to share. Research doesn’t end if the result isn’t what you thought it would be. Everyone can do research. Remember it begins with a question and some passion to find the answer. Ask a question, be curious, and go do some research. The Untamed Alchemist further discusses the important factors that matter in selecting essential oils as they matter to her…and I wholeheartedly agree! The big, burning question I so often get is, “what brand of essential oils do you recommend?” The first part of my response to the question, focused on the question itself, can be found in part i of this series here. In this post you’ll find part ii of iii, focused on the criteria I use in choosing my essential oil suppliers. There are a wide variety of essential oil suppliers and they can vary tremendously in the quality and purity of their oils, their commitment to sustainability, their customer care, their empowerment of safe use, and their engagement with the aromatherapy community; choosing the best among them can be difficult, but there are a surprising number of companies who offer quality essential oils who have met my relatively stringent standards. Aromatherapy is a complementary therapy that has been on the rise over the last several years and has gone mainstream. More specifically the increase use of essential oils is making its presence on the market. 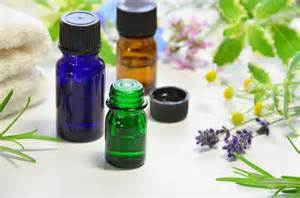 The Aromatherapy and essential oil market had a record breaking year in 2015 displaying large revenue for essential oil participants (Aromatherapy and Essential Oil Markets, 2016). According to various research articles, the top two multi-level marketing companies had revenue over $1 billion each in 2015 (Aromatherapy and Essential Oil Markets, 2016).These numbers are very promising for aromatherapy and essential oils. The reason for the big increase in the Aromatherapy market is, in part, due to the use of herbal medicine treatments. Globally, Aromatherapy is trending as a self-treatment to avoid doctor visits (Saha, 2016). This trend is leading to a huge increase in the market for essential oils, creating a large demand for more oil. Top oils globally include: Basil, Black Pepper, Clove, Eucalyptus, Jasmine, Lavender, Lemon, Sandalwood, and Tea Tree (Saha, 2016). The high demand for the oils is good news for multi-level marketing companies (Saha, 2016). These companies are the key players in the Aromatherapy market, and vary in quality. With Aromatherapy predicted to have a great impact on the global market by 2025, more companies are getting on board. The question that needs to be asked is, how will the big demand for Aromatherapy affect essential oils and essential oil availability? Right now it is too early to say, but there is already growing concern for the sustainability and the ethical harvesting of the plants used in the production of essential oils. An increase in demand suggests that there will be an increase in essential oils and essential oil companies. Big retailers in the United States such as Wal-Mart and Target are beginning to sell various brands of essential oils in the store, but also sell Aura Cacia in their online store. Wal-Mart has launched their essential oils with claims that 7 of the 9 are 100% pure essential oil (Jenkins, 2016). This is a bold statement since no information could be found to backup their claim that their oils are 100% pure. The essential oils also retailing at $5.97 for all the oils in the line. With essential oils selling at $5.97 each, something isn’t quite adding up. Anyone who is familiar with essential oils knows that not every oil is going to sell for the same price. Right away this is a red flag because it begs the question what are they putting in bottle to sell at a low price? Over at Essential Oil University, Dr. Robert Pappas has done some testing on the essential oils sold at Wal-Mart. According to his analysis, the oil labeled as Cinnamon oil in fact contains Cassia oil which cost a fraction of true Cinnamon bark and has a different chemistry. Additional testing also disclosed that the Lavender oil was not Lavender, but the lesser expensive Lavandin essential oil. From the odor alone Dr. Pappas could determine that the oil was not Lavender but rather Lavandin, a hybrid of Lavender oils. Lavandin has different Aromatherapeutic benefits when compared to lavender, so customers will be getting different results. Dr. Robert Pappas also goes on to evaluate Peppermint with predictable results, finding that the oil in the bottle was Cornmint. Not all the oils from Wal-Mart were not tested, but there was a pattern of deceit. GuruNanda will be launching their essential oil blends into Wal-Mart this April with a $10.99 retail price across the board and scratch and sniff lids (Johnsen, 2016). The maker of GuruNada had this to say about their blends, “We’ve taken the guesswork out of Aromatherapy with these blends that combine carefully selected ingredients for maximum effect,” (Johnsen, 2016). Any aromatherapist knows that their work isn’t “guess work” and actually involves a lot training and knowledge. If aromatherapy was about guessing then anyone could be an Aromatherapist. Once again it should be noted that no testing has been done yet to determine if the blends are pure. Production of an essential oil can vary from plant to plant which in turn affects the final cost. Quality of essential oils needs to be a high priority, even more so now, with the growing trend of Aromatherapy and essential oil use. The growing field of Aromatherapy is great and wonderful for everyone. There are so many benefits from practicing Aromatherapy, but there should also be caution. 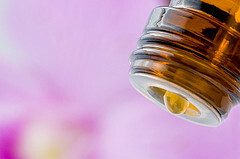 With the growing popularity of Aromatherapy there is much concern for the quality and availability of essential oils. Creating a better awareness for essential oils, and how they are obtained, as well as their sustainability status is needed.